Jordan Marsh Blueberry Muffins are legend in New England. Big, tender bakery-style muffins studded with juicy blueberries. The ultimate weekend brunch muffin with history and a boatload of wonderful Boston memories! Jordan Marsh was a Boston department store that started in 1841. It grew to be a regional department store chain in New England until 1996, when the last of the Jordan Marsh stores were converted to Macy’s. Jordan Marsh was one of the first stores ever to offer charge accounts (thanks, I think) and a money-back guarantee. It was also the first department store ever to feature electric lights, glass showcases, telephones, and elevators. For many years, the flagship Jordan Marsh store in Boston housed the Enchanted Village at Christmas time. 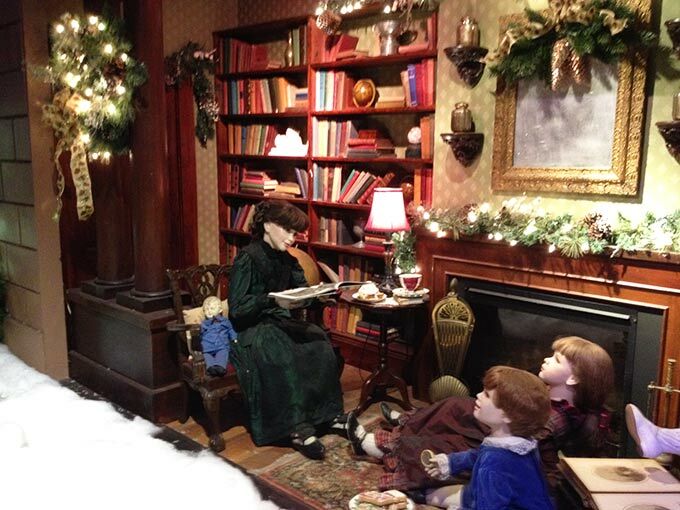 The Enchanted Village was a detailed and lavish Christmas display that covered an entire department store floor. But today, we’re talking about the famous Jordan Marsh Blueberry Muffin! On the first floor of the Jordan Marsh flagship store in Boston’s Downtown Crossing was a lovely bakery that sold big and yummy sugar-topped Jordan Marsh Blueberry Muffins. 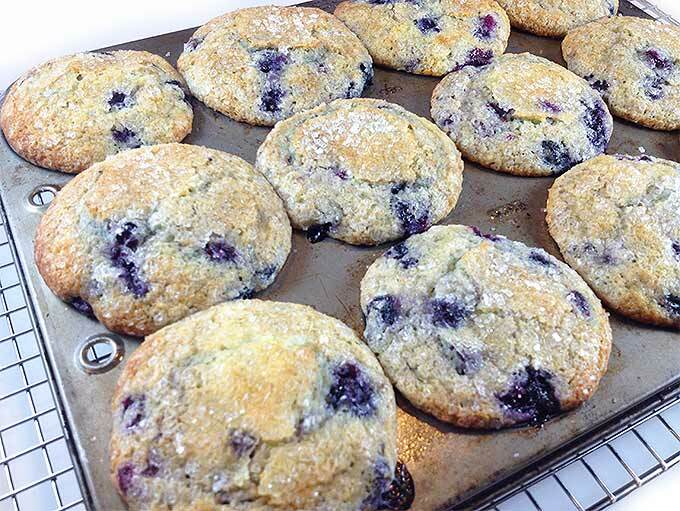 Jordan Marsh Blueberry Muffins: a huge treat in our house. Thanks for this great recipe Mom! These muffins are easy to make with fantastic results. Surely many of you grew up visiting Jordan Marsh in Boston and elsewhere — eating fresh, sugar-topped Jordan Marsh Blueberry Muffins and visiting the Enchanted Village downtown. Hope you’ll share some of those memories today! Jordan Marsh Blueberry Muffins....served at the Jordan Marsh Bakery. Legendary in the Boston area for decades. Gigantic, moist blueberry muffins with sugary, crunchy muffin tops. With a mixer, cream butter and sugar until fluffy. Separately, sift dry ingredients together or mix well with a fork. Add dry ingredients to creamed butter mixture, alternating with milk and vanilla. Fold in the berries very gently. Be sure to use tin foil muffin cup liners also. Sprinkle sugar over tops and bake at 375 degrees for 25 minutes or 'til golden brown. Cool in pan for 20 minutes. Gently loosen muffin "crowns" from the top of muffin pan with small, sharp knife and remove muffins from the pan. Big, beautiful, yummy muffins... comin' your way! The muffin stays whiter if you use fresh blueberries. If you use frozen, thaw and drain first. Then sprinkle the blueberries with an extra tablespoon or two of flower to absorb some of the blueberry juice before gently stirring in to your batter. Frozen blueberries or fresh, these muffins look and taste fabulous. I prefer to use King Arthur's Sparkling White Sugar for sprinkling on top before baking: it doesn't melt and stays very crunchy!!! YAY for crunchy sugar! The muffin tops will spread less if you refrigerate the batter (in the muffin pan) for 30 minutes before baking. Be sure to grease the tops of your muffin pan well. Also use foil muffin liners. Paper just doesn't hold up well enough for this recipe. Bresca, I vote for muffin top first, and leave the rest for one of the hungry teenage boys...they'll eat anything (and everything!!!) Elaine would agree. I agree. You agree. Elaine agrees. All is well with the world. I wish someone wanted to make me angelic. I'm eating sort of low carb right now and I REALLY want these. I can just taste the little turbinado sugar on the top... Whoa I'm slobbering...gotta run before I eat my keyboard. Love this post,Allie. I remember enjoying these muffins after a marathon shopping excursion with Mrs.Mel years ago. Thanks for reminding me of her today. I have made these famous muffins and they are excellent! Thanks for the trip down memory lane. I also LOVE that picture of Hudson! So cute!!! Thanks for sharing and I think I will also share to my FB friends! Thank you Tracy!! And for spreading the word. We visited the Enchanted Village at Jordan's this year and yes...we had the blueberry muffins too!! Can't wait to try them at home. We LOVED going to Boston and seeing the windows of Jordan Marsh and having their muffins! Yes, I can just see you and Mr. Van downtown Boston, having a BALL! Well, Sheryl, we did have ONE child whose behavior might have improved with a Jordan Marsh Blueberry Muffin once in awhile, but now butter wouldn't melt in his mouth -- RIGHT, Sheryl?!! Heh heh! Many thanks to Dublin Christian Academy in Dublin, NH for all help received in that area! And speaking of DCA, a trip ANYwhere with Mrs. Mel Moody would have made my day -- thanks for the memories, Ruth Ann! Brings back many fond memories of shopping with my grandmother! I have warm memories of my Dad stopping at Jordan Marsh after work and bringing home these wonderful blueberry muffins to his girls. We were very happy that his office was fairly close to Jordan Marsh and that he too loved their blueberry muffins. Thanks for the recipe, Allie and the adorable picture of Hudson! I can almost smell them! Those were the days my friend. I have wonderful memories of shopping downtown Boston with my mom and sister and then later on, taking the T from Quincy to downtown Boston with my friends. I think I'm going to have to make these for my mom and sister! Allie, I was just telling friends of mine about the yearly trip into Boston around the Christmas holidays. The Boston Common and the Public Gardens were so beautifully decorated. 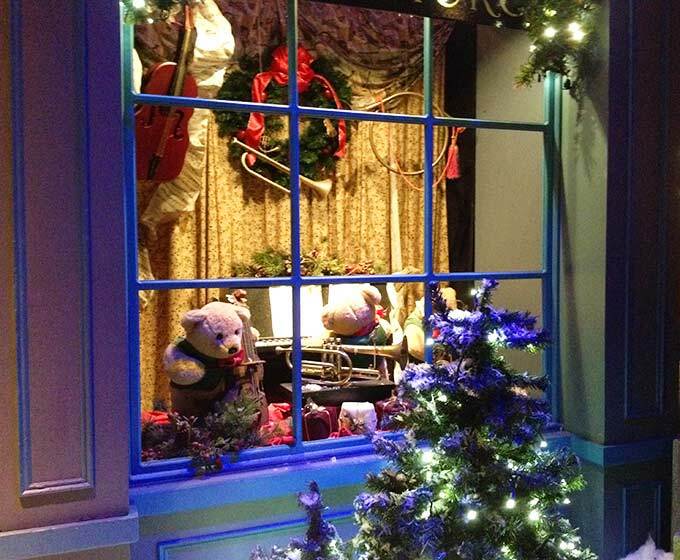 However, it was the animated window displays that always entranced me. I could have watched those displays forever, never even thinking about the cold temperatures. Jordan Marsh and Filene's: a piece of my childhood resurrected! Jack, the real cook in our home had misplaced his recipe for those muffins (he makes them often). You two must have been on the same wavelength. He had printed the recipe before I had even had a chance to check my email. Thanks for making our day. Love the picture of Hudson, pure bliss written all over his little face. I am making this asap...mouth watering! Fern and I made these this morning. Delicious!! Eating them with thick snow falling outside the window was so cozy. Thanks for the recipe!! Yay Aster! And yum. What a perfect way to spend a snowy morning. I've never heard of Jordan Marsh, but I love hearing about your recreation from a childhood memory. I love a sparkling sugar topping on muffins, so yum! Can't wait to try these! I love blueberry muffins and these ones look AMAZING! Can't wait to make them! Allie, these muffins look so good - just the way I like them: moist and fluffy with a crunchy, sugary muffin top! Your story about Jordan Marsh sort of reminds me of Marshall Fields in Chicago. I'm new to Boston, so I came many years after Jordan Marsh, but I wish I could have seen those Christmas decorations. At least I get to eat the muffins thanks to your delicious recipe! Oh how I loved these! In high school, (45+) years ago, I worked in the bakery at Jordan's in Peabody at the old shopping center. Everything was put in boxes, and we had an automatic machine that wrapped the box in string and tied it! The lines never seemed to stop! They were famous for their brownies too! We workers got to eat the edges, yum! Alas, I graduated and had to move on, but I never forgot their taste, nor their smell! Best ever! For those of you not familiar with Jordan's, they were bought out by Macy's, and sadly, did not keep the bakeries. :( Thanks for sharing! Hi Mary - I loved reading your comments, especially from one who actually worked at one of the bakeries. I didn't know about the brownies.That's something I'd love to research and put here on the blog. Jordan Marsh Brownies...has a ring to it!!! I also didn't know about the machine that wrapped the boxes with string. And you got to eat the edges??? It must have been such a busy bakery. Heaven! Thank you SO MUCH for dropping by today, absolutely made my day and I learned so much. Have a wonderful day! Hi Carole, no I was NOT aware of this info., and I am thrilled you took the time to comment here about it. I have been making these muffins with this recipe since I was a little kid. I am definitely going to do some more research and see what I can find out about the proportions of the pastry and bread flour. I'm excited that the Jordan Marsh muffins I know and love might somehow get even BETTER!!! If that is even possible. Thanks so much for dropping by Carole and now I have my work cut out for me. Have a great day! These muffins look moist and yummy and perfect for the blueberry season! every year I go to jordans furniture in stoughton/Avon m to see the enchanted village and get Jordan marsh muffins. My mom made this recipe many times when I was a child. I remember her getting this and many other greats while listening to the "Gus Saunders" show on the radio. Every week she would kick us kids out of the house so that she could listen carefully, pen in hand so as not to miss anything. Thanks for bringing back the memories, going to go make some now. What great memories Patty. I never did hear the Gus Saunders show myself, but heard about it later. Good for your mom. My mom also kicked us out of the house growing up for various endeavors she was busy with. There were five of us....and life was different then. Thanks for dropping by and sharing, hope you enjoyed baking the muffins and the trip down memory lane. I was most definitely born way before 1990 but I have never heard of Jordan Marsh! These muffins look ridiculously delicious! I love your story about Jordan Marsh Muffins. I'm going to be making these today. We have a farmers market here in Chicago and there is nothing better than fresh blueberries. We have Macy's here, but never knew about Jordan Marsh. Wish we could grow blueberries here, I've tried with strawberries, but we have rabbits that enjoy them just as much so I can never get them before they do. I'm going to be baking these today as well as the pound cake. 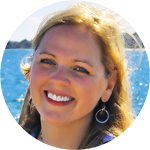 Your blog is awesome and plan on following it daily. Thank you for your wonderful stories. Also loved that book Blueberries for Sal. Plan on buying it for my granddaughter. Dear Sherie, I'm SO glad you found this blog. Thank you so much for visiting and for your very kind comments. Please spread the word! :) Hope your cake and muffins come out perfectly today and that you have great joy in baking them! 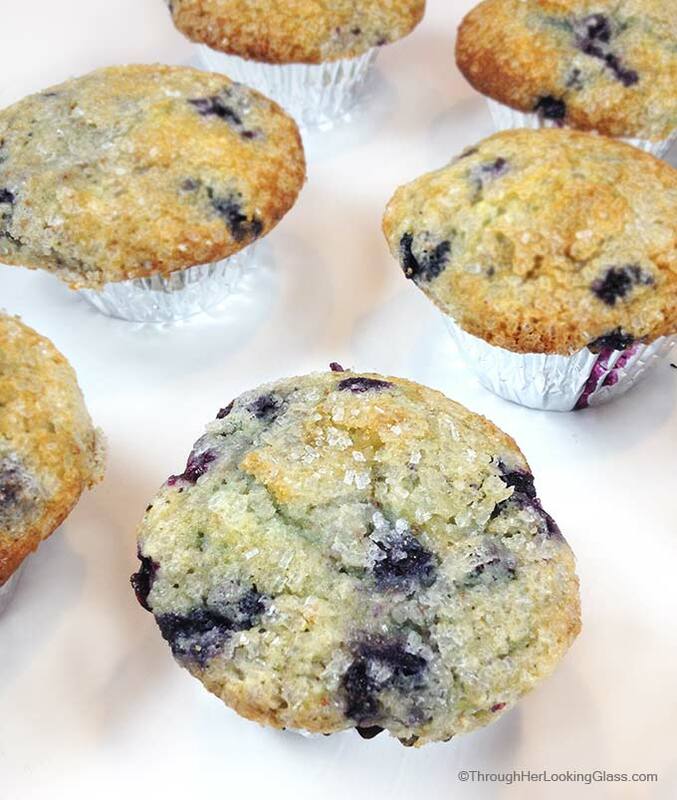 The Jordan Marsh Blueberry Muffins are our favorite muffin ever. I love creating something beautiful in the kitchen. Also hope that your granddaughter loves Blueberries for Sal as much as we do, such a classic Maine story. Have a beautiful day! I grew up in ft. Launderdale with a Jordan marsh. This recipe was printed in glamour magazine a number of years ago. They called them big blues. Love them. Been making them for years. I had no idea there was a Jordan Marsh in Ft. Lauderdale. That's awesome. Or that these muffins were called big blues. I just love piecing together the comments here, so many great memories happened around these delicious sugar-topped muffins. Thank you so much for dropping by Randi. I have fond memories of going to Jordan Marsh with my grandmother to get an outfit for school and then we would go to the bakery and guess what I always got? The blueberry muffins! I can't wait to make this famous recipe!! Hi I had to share this. About a month ago, someone posted a recipe claiming to be the authentic Jordan Marsh Muffins on the ne.food group I read. I countered with 'Martha and Gus's Muffins" which my mother had clipped from a paper decades ago (also ostensibly the REAL THING). Today, I get the message below from a guy who was cruising around on the internet. ---------- > From: "Ed Roberts" > Date: Sat, 09 Feb 2002 21:09:07 -0500 > To: muckerheide@mediaone.net > Subject: Jordan Marsh blueberry muffins > > > Hi > I saw your post on Google for JM muffins. I thought that you would get a > kick out of this story. > My aunt worked in the JM bake shop for years. She did a big favor for the > baker. He asked if there was anything that he could do for her. She asked > for the recipe for the blueberry muffins. He explained that "The Recipe" > was a closely guarded secret and besides "The Recipe" was for 25 dozen. He > said that he would give her "A Recipe" for a couple dozen blueberry muffins. > With a wink he gave her "A Recipe". > A few years latter she called the Gus Saunders show and offered a blueberry > muffin recipe. The way the show worked was if someone wanted to hear the > recipe they would call Saunders and he would ask the original caller to > call back. My aunt read the receipe on the air. She told Gus that it was a > recipe that she found on the street. She called them "trash can muffins" > For the next few days people were calling Gus' show saying that they tasted > just like the JM muffins. Gus asked for the person who gave the recipe to > call back. My aunt didn't..she was having too much fun being mysterious. > The recipe that you posted is exactly the recipe that she gave me about 35 > years ago. I'm pretty confident that it is a cut down version of the real > thing. > > Enjoy > Ed What I had posted was (including the recipe) : "I was the original poster-- looking for a cook book collection of old Boston recipes. As it happens the one recipe I have is a recipe that approximates Jordan's. I have it on no authority that this is the authentic recipe, since there are about a dozen floating around claiming to be "the one". However I have made this over the last 30 years and it comes close. Buttermilk and cake flour seem to be the secret to the cottony interior texture that most muffins lack. I have no idea who "Martha and Gus" are but I wonder if Gus is Gus Saunders who for years did the Yankee Kitchen call-in show on the radio. Powdered buttermilk is an acceptable substitution. Follow directions to reconstitute buttermilk on the package. Cake flour is essential. Also, this recipe has a lot of strange quantities, so measure carefully. Once I experimented with lopping off all the odd tablespoons, but the end result was tougher, so I reverted back to the original. Whether you use blueberries as prescribed, or divide the batter and make some with finely diced apples, dates, cranberries, raspberries or bananas, this is a really great recipe. If you have them, use those giant muffin pans, but this still makes quite a large batch, at least several dozen, so plan to share or freeze! Martha and Gus's Muffins 1 cup plus 1 tablespoon unsifted all purpose flour 1 teaspoon salt 1 cup plus 1 tablespoon solid shortening 2 cups plus 2 tablespoons sugar 5 extra large eggs 2 cups plus 1 tablespoon unsifted all purpose flour 1 teaspoon baking soda 1 Tablespoon baking powder 1 cup buttermilk 2 teaspoons vanilla 2 2/3 cups cake flour (Soft-as-Silk) 2 pints blueberries or 4 cups other fruit. 2 egg whites, beaten with 1 tablespoon water until frothy additional sugar Preheat oven to 400∂. Cream first all purpose flour with salt, shortening, and sugar. Add eggs all at once and beat 3 minutes with electric mixer. Add remaining remaining all purpose flour, baking soda and baking powder. Beat again. Blend in buttermilk and vanilla. Add cake flour and beat until mixed. Batter will be very stiff. Fold in fruit of choice, dividing batter if you want to make several kinds. Grease muffin tins well and fill 3/4 full. Brush egg white mixture over tops with brush or your fingertips. Sprinkle generously with sugar. Bake 20-25 minutes until golden. 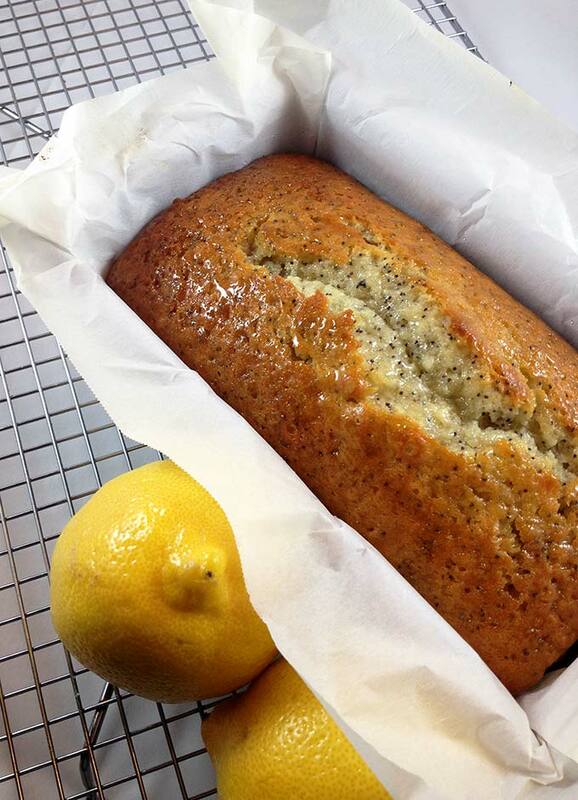 Let cool in tins for 10 minutes, then remove to racks to finish cooling. Batter may be stored 3 days before baking. I usually add the fruit just before baking, however. Hi Linda It seems that the JM muffin mystery lives on, I think we both know that the WCVB recipe isn't the "trash can muffin" recipe. Mmmmm, love blueberry muffins! So does my son, so I'm thinkin' I might have to give this recipe a go! Thanks, Allie! Jordan marsh is new to me. I am so much in love with the muffin tops. If any muffin looks like that then I can't resist myself from eating the top. We are a muffin and blueberry loving family, so I can't tell that my family would go gaga over these. Thanks for this wonderful share my dear friend. The muffins sold by Jordan's in Avon bear no resemblance to the original recipe sold at Jordan Marsh. The JM recipe had mashed blueberries incorporated INTO the batter, so that when you cut them open, the muffin waslight blue. Also, the tops sold by Avon aren't even close to the flavor and texture of the JM Muffin. Nice try, but if you ever had the originals, you too would be disappointed.